Last September Maria Rita Scrimieri spoke at Our Lady of Fatima Conference, California, USA, on Bld Alexandrina. See here. In Wisconsin, there is an Alexandrina Center. This Alexandrina is indeed Bld Alexandrina Maria da Costa. and for whom I want to live! only to Him is all my being yielded! So that in me only Jesus lives! - My daughter, my jewel, golden jewel box, very rich jewel box of the Holy Trinity… very rich, because you have in you these divine Personages… if you knew how you are loved by Them! My daughter, I only speak to you of greatness and the love that I have for you, because it is good for souls. Because I desire that, just after your death, your life be known, that it spreads to the farthest ends of the world, where the voice of the Pope consecrating the world to My beloved Mother will also have arrived. “Soon after your death I want that you be known; I will ensure that it will be so”. “After your death, I will ensure that your name and your life, full of love and heroism, will spread to the far ends of the earth”. Indeed, only with the removal from Portugal of the two directors could this be realized literally. Rev. Fr Marian Pinho, without having to face the obstacles that he would find in his homeland, succeeded in publishing two books concerning Alexandrina, one of which was soon translated into French and German. I, through the “Salesian Bulletin”, written in Italian language, with a print run of more than 300,000 copies that are sent to every corner of the land, could spread the news of Alexandrina’s death as soon as I received it and also some brief words concerning her edifying life. In the following year, I published, in Italian, a biography that was later translated into Portuguese. And the Salesian bulletins of several nations had spread the fame of the Servant of God through the world. A religious sister of the Congregation of the Children of Mary Auxiliaries, who lived behind the Iron Curtain - where the Catholic press is forbidden - had patiently translated and typed the biography and made sure it circulated in some of the regions subjected to the communist regime. Months ago there arrived in my hands, from Thailand, a version of the biography in the language of that country, written by a Salesian (Fr Rebesco). And I know that in Japan an identical work is being produced. How great the Lord is! There are no human forces capable of impeding His divine designs. Whoever learns about Alexandrina is fascinated by her. I receive letters from all over the world with requests for images and relics. “Light and lighthouse of the world"
My abysses are so black and deep that only God could penetrate them. And that was what Jesus did. - Come here, my daughter, light and lighthouse of the world! You, who are in darkness without equal, are the light that shines, the lighthouse that illuminates everything. The darkness is for you, the light is for souls. Come here, light of which I am the light, lighthouse of which I am the lighthouse! Can I not make you shine with My brightness? Can I not make you to be a lighthouse, just as I am The Lighthouse? School of Christ’s life, school of the science of the Highest one! It is here that the insignificant and the great, the ignorant and the scholars, all learn. You are the second ark of Noah. in you, as in the ark, I guard everything for life in the new world. Your pain, your immolation and humiliation of life, is more for souls that for bodies. Courage, dear daughter! Do not fear. The rain that falls on the new ark is not to destroy but to save: it is rain of humiliations, disdain and sacrifices. The ark is not in danger: it sails on the crests. Once the waters of the persecution abate, the world will see the wealth that waters contained, that they were waters of salvation. Dear daughter, my beloved, I am not alone, my Blessed Mother is with Me; listen to what She says to you. - My daughter, I come with my divine Son to deliver humanity to you so that you can enclose it in your heart. The keys remain in the custody of your Jesus and your beloved Heavenly Mother. I have given you to my most holy mantle, and my queen’s crown: you have been crowned by Me. Texts like this are not exceptions; even the delivery of the world to Alexandrina’s care was to be confirmed. The Consecration to the Immaculate Heart of Mary, which was asked of her, was not that of Portugal or of Russia alone, it was that of the world. The DVD on Bl Alexandrina has been shown today on EWTN (we couldn't watch). This happened on a very special day for her, the day of the Immaculate Conception. I watched the Blessed Alexandrina da Costa program on EWTN this afternoon and it was excellent! My congratulations to Kevin Rowles and all those who put it together – it is very inspiring and is very well done. Those who missed it here in the USA might want to set their DVR/recorders for Sat. Dec. 8 at 5 AM Eastern Time which will be the next showing on EWTN for those here in the USA. Find here the main websites in English on Bld Alexandrina. "Apparently, the Bl. Alexandrina DVD is being broadcast on EWTN on Sunday 2 Dec, 3:00, 20:00; Thursday 6 Dec, 9:30; Saturday 8 Dec, 11:30 (1 hr). These are UK times – in USA / other countries it will be different – please check on EWTN website. ETWN live TV (UK) can be seen online as well: - http://www.ewtn.co.uk/content/live-tv"
Who still remembers the Icon of Blessed Alexandrina? It is kept in Balasar, in tomb-chapel where the remains of Fr Mariano Pinho are. Few people will remember is that Fr Pier Luigi Cameroni published a book about it, with text in Italian and Portuguese and titled Alexandrina Icona della Pasqua del Signore. An image of the Portuguese copy of the icon (the original version is Italian) is also in the book of iconograph, Domenica Ghidotti, Nuove Icone per Pregare. You can already read some information in English and Italian on the new official website of Blessed Alexandrina. Yesterday came to Balasar a pilgrimage of the Community of Two Hearts. There we could to know Fr. Bing Arellano and offer him a copy of the book Quei Due Cuori. He is the Spiritual Director for the Alliance of the Two Hearts and also the Spiritual Director of the Alliance of the Holy Family. He has authored more than 200 titles and countless magazine, CD and DVD articles on Marian spirituality. Father Bing appears on the EWTN (Eternal Word Television Network) TV program “One in Their Hearts” and on radio, Rome, Italy. See here a letter written and signed by Father Bing which explains in detail the history and theology of the Two Hearts. My daughter, like St. Margaret Mary, I would like to wake the world to this so extinguished love in the men’s hearts. Wake it more and more. I would like to offer My love to men. I would like to be loved by them. They do not accept Me and they do not love Me. Through you, I want this love to be spread all over the mankind, as through you, the world was consecrated to My Blessed Mother. May, beloved wife, the love of our hearts be spread all over the world. The report speaks mainly of Oporto, but it is always Portugal of the time when our Beata was a child. Balasar then was officially Minho. Click here. Yours is a wonderful and prodigious life, O dear daughter! - This conduit, my daughter, is the Heart of your and my Blessed Mother: from it you receive our love in the greatest abundance; from it you receive our graces, virtues and gifts, divine riches and all that belongs to heaven. From it you receive life to live, life to give to souls. This is the dew, the blood that falls on mankind. It is a mixture that I make of my wealth, of my graces, with your pain. You are the new redeemer. I pass all for you through the channel of my Blessed Mother. It is through you, with Her, that the world is saved. Do not grieve, my daughter, for not receiving Me in the Eucharist. The more you are humiliated and the more my divine cause is fought, the greater are the wonders I work in you. My divine science always has graces to give you and you, my beautiful dove, you always have sufferings to offer. Since your pain and your martyrdom are unique, so is my love unique, and my wonders in you. Lights are confusing to those who cannot see them clearly. Yours is a wonderful and prodigious life, O dear daughter! You are the dew which fertilizes and gives life. You belong to Jesus, You belong to souls. You're the little ball of Jesus, you are the ball of my entertainments, of my charms, just as you are the little ball of appealing charm for sinners. You belong to Jesus and you belong to them. You're a victim whose love enchants heaven, you are victim who gives life moment by moment for humanity. Receive all this divine life, give it to the hungry world, give it to the world in danger. I deliver it to you, unto you I entrust it. I, Jesus, have all confidence in you. I trust as much as you love me, as you love souls. You are rich with me, with me you save them, with me and my Blessed Mother. Go, my gardener, go to my plantation. Go to give, go to distribute. Corpus Domini Jesu Christi and not Corpus Domini nostri Jesu Christi (as priests said) because was Jesus Himself who gave his Body. Corpus Domini nostri Jesu Christi: Body of our Lord Jesus Christ. Follow here the events of Bld Alexandrina's Feast Day. 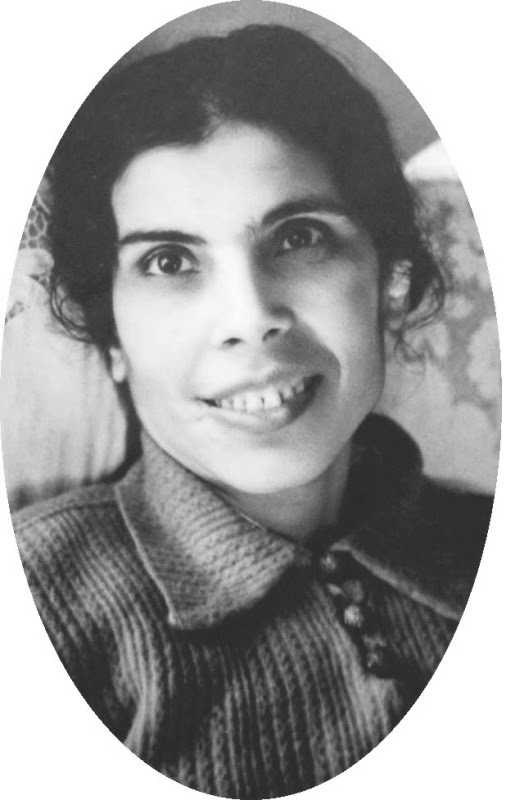 Tomorrow, October 13th, as well as being the anniversary of Our Lady's Apparition and the Solar Miracle at Fatima, is also the feast day of mystic and victim soul Blessed Alexandrina Maria da Costa. Please pray for her Canonization. O Jesus, who art pleased with simple and humble persons, who are so often ignored, forgotten and despised by men, raise to the glory of Thy altars Thy humble Servant Alexandrina, who always desired to live hidden from the world and aloof from its vanities and praises. Thou well knowest, Lord Jesus, how in our times there is need of lessons in holiness, which is the true fulfillment of every human and Christian vocation and, consequently, the elevation of a creature to the supreme height of moral beauty. Invest then, O Jesus, Thy Servant with the immortal halo of glory and hear our prayers, which we through her intercession offer to Thee; especially grant us the favour which we ask (...here mention your petition) if it be for the honour of Thy Blessed Name, the glory of the Immaculate Heart of Mary and the salvation of sinners, on whose behalf the pious Alexandrina so wholly and generously offered herself a victim. Amen. 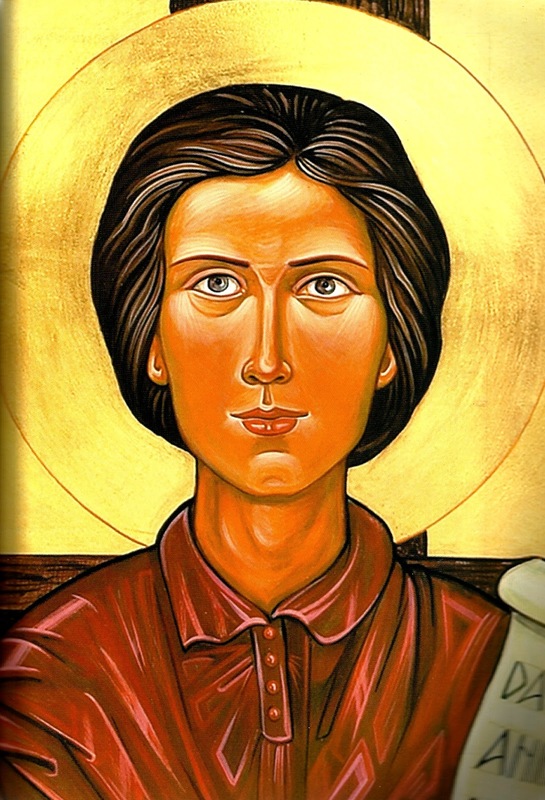 Blessed Alexandrina, intercede for us! We have exhausted the direct sources, the Letters to Fr Pinho and the Diary; let’s use the other sources: C G (Cristo Gesù in Alexandrina), NoC (No Calvário de Balasar) . The other is of 17th October 1955, four days after her death. In the last months her pains were horrible. We had the sensation that in that room of pain something tremendously great and mysterious was happening: that the last moments had arrived for a victim who had been asked for a great reparation. She insistently asked that God take her quickly to Heaven: it was the only prayer worthy of her. (...) What an expression she had! Holy resignation to the will of God, but suffering to the point of terror, such suffering that a soul can only undergo with the grace and a great help of the Lord. In September, the martyr Alexandrina had the generosity of allowing Deolinda to participate in a three-day spiritual retreat in Fatima. It was a heroic effort, because only Deolinda knew the best way to attend to her during these latter times of atrocious pain. In the beginning of “her” month, she hears the announcement of her departure. - Deolinda, you have run away from me! I answered her: - I went, but I’m coming back straightaway! As soon as it is day, I want you to make three phone calls. 1. To the girl Irene Gomes, asking her to come home with our mother and to bring all her clothes because she will be staying as I am going to die (the mother was at the seaside taking a cure). 2. To Fr Alberto Gomes (her confessor), as a debt of gratitude on my part and, if he agrees, to repeat publicly the act of resignation at the arrival of Fr Pinho. Meanwhile you will tell uncle Joaquin so that he goes to call Dr. Azevedo. 3. To Mrs. Ana Pimenta (a friend and benefactor, who had expressed a wish to be present at Alexandrina’s death). I desire Heaven. I do not have the slightest regret at leaving this earth. It is sun. It is life. It is everything. It is God! Deolinda at one point asked her: Do you want anything? Heaven, because I can no longer stay on earth. I want to receive the Sacrament of the Sick, while I am still lucid. One day, it will be very beautiful here! O Jesus, your will be done, not mine! Around 3pm the same day, in the presence of her confessor, Dr. Azevedo, relatives and some close friends, she made an act of acceptance of death. Let’s look at the report made by the priest who attended her at the moment of death, Msgr. Mendes do Carmo. When all was prepared in that Calvary-Room, she made her spontaneous Act of Resignation in front of all. – O Jesus Love, O divine Spouse of my soul, I, who in life always sought to give You the greatest glory, I want, at the hour of my death, to make You an act of resignation upon the arrival of my dear Spiritual Father; and thus, my beloved Jesus, if with this Act I give greater glory to the most Holy Trinity, I submit myself joyfully to your eternal designs… only to beg from Your mercy Your Kingdom of love, the conversion of the sinners, the salvation of the dying and the release of souls from purgatory. My God, as I always consecrated my life to You, I offer to You now its end, accepting with resignation the death, along with its circumstances, that gives You greater glory. Still later she received, in an angelic way, the Sacrament that purifies all vestiges of imperfections and guilt. - Do not cry, because I am going to Heaven. - O Jesus, I cannot stay longer on Earth. O Jesus, life costs; Heaven costs! I suffered everything in this life for souls. I squeezed myself in this bed until I had given my blood for souls. I forgive all… The torments were for my good. I thank those who did good to me; I will pray for them in Heaven. I am so glad to be going to Heaven! (Smiling and looking at a point above). What clarity, what light! It is all light (smiling). The spiritual sufferings can be catalogued as two types: fights against Satan, though without more aggressions towards her body after the end of 1937, and temptations against the faith, also provoked by Satan. Satan concentrated on making her suffer the fear of being deceived about her mystical life, and of committing the sin of vanity by writing about it. - You manage with your falseness to deceive almost all the people: you will condemn yourself! But the most insistent note is that of lust. For some days I felt that my body was an open house for anyone who wanted to enter it. The demon, more enraged, came as a thief and I felt as if he took my heart. It was four combats that I had with the demon; they had been combats of hell! I had hands for everything, except to bless myself with and to move the cursed one away from me. My body was bathed in sweat, my heart a thundering machine. Yes, I managed to call for Jesus and our blessed Heavenly Mother. But what I did not manage, or it seemed to me, was to call them in time. I liked to be blind and deaf so that I could neither see nor hear the teachings of the cursed one and so that I could not allow myself to be disturbed by what he said against Jesus. The demon tormented me with his strength and diabolical malice. In the first three attacks he tormented me in the form of a man, but he introduced in me all human malice. What a horror! I sinned in all points and senses. And he, much rested, left to the world his infernal look and left it full of his malice. If only I knew how to tell of the poison that he instils in souls! Sometimes Jesus gives her to understand for what kinds of sin she is making reparation. Our Lord made me to understand, through the feelings and visions of the soul, for whom He asked me to make reparation. The first two attacks had been for sins committed during worldly balls, sins practised shamelessly! Jesus comforted her, encouraged her to continue, affirming that with such reparation she was saving souls. - The demon has laid all his infernal anger on you. The damage that you have done him is great: you do more harm to his satanic work, with your suffering, than all the good done by humanity in general. He is raging, raging. He uses everything. He uses men to destroy my Cause. Never, never are his infernal designs satisfied. Suffer everything, my daughter, suffer all your unutterable pain and torment. Atone to Me, atone to Me for all the desecrations and all the insincere confessions. It seems me that I am tempted to despair of myself. I lie to all and I lie to myself. I have temptations against the faith: it seems that I want to convince myself that after this exile everything finishes, that nothing is improved by suffering. In this stormy immensity where only emptiness prevails, my soul conserves itself in peace, except sometimes, in some moments of agitation, doubts about all of my life, temptations against the faith that almost cause me to fall into despair. Why did I come to the world? What is served by suffering like this, in a life nailed to a bed? She continued the fight between the will to believe and the temptation to disbelieve. It was a tremendous suffering! I feel that I am not doing anything in the world, after losing Jesus and our heavenly Mother. Since eternity does not exist, or so (the demon) tries to persuade me: what am I doing here, without enjoyment, always suffering? What for, what for? “I believe, Jesus, I believe! I believe that You exist. In this fight I disdained all Gethsemane (when she relived the Passion). Nothing exists. There is nothing, there has been nothing! Thus I climbed Calvary, without faith, without believing in eternity. And, such was the temptation, wanting to commit suicide! It seemed to me that I should want to discontinue a life which had no life, in any way at all. (Jesus suffered similar demonic attacks, not only at the beginning, in the desert, but also at the end, in Gethsemane). With what cost I called on Jesus and our Heavenly Mother and repeated to Them my “I believe”! In the darkness of agony and of death, I have wanted to repeat it, and I could not. One month later Jesus reaffirmed that He wanted this form of reparation, with its tenacious profession of faith. But He also gave her His aid. Repeat your “I believe”. You must live the faith without faith, love without the feeling of love. All I want of you is your “I believe!”, your adherence to the cross, your heroic generosity, always heroic. Even while reliving the Passion the fight continued. Here is a description of it with wonderful poetical power. I believe, I believe firmly, I have repeated as many times on the top of the mountain, impaled on a spear, but in such a vertical line that I was not hanging more on one side than on the other: to God or the demon; to eternity or the vacuum. I believe, even so my feelings are all liars. - Believe, my daughter, believe, my beloved spouse, believe, tender flower of Paradise! The last year of her exile arrived, yet that tremendous fight was intensified still more. - O Jesus, forgive me! I do not have faith nor do I believe in You. Dear me, who will save me? - It’s Me; I save you, my daughter! You have inflexible faith, firmer than a rock. Make reparation for those who do not have it, for those who live without God. And thus I go on walking on neither sea nor land, only with a false whisper, that always urges me to cast myself into the abyss. My soul bleeds, my whole being bleeds in the darkness. O my God, speak to me about the soul, speak about what I so often seem not to have! How many times a voice cries out to me – to the soul and to the body too: “Grasp, grasp!” - but I can find neither one thing nor another to grasp. I grasp, grasp at the darkness, at ignorance, at uselessness, at death! It is what I have, is what I find in myself. To cry out, to cry out healthy and strong to Heaven, to Heaven that isn’t there, to an eternity that does not exist! O my God, it is useless to cry out to anything. I am in great agony. Jesus warns her of an ultimate increase of the martyrdom. My daughter, climb, climb, courage! (...) Your phase, the last phase of your life cannot be more painful. But thus it is when I choose a soul for the highest degree of perfection, love, and union with me. Always fighting, always grasping, grasping without having anything to grasp, here I go from fall to fall, from abyss to abyss towards the endless abysses of darkness, death, uselessness. I believe, Jesus, I believe that your birth, your death, your Calvary were for me. I believe, Jesus, I believe! Which is just what Jesus did. You that you are darkness without equal, you are the light that shines, the lighthouse that illuminates everything. Come here, light of whom I am light, lighthouse of whom I am lighthouse! “O Church, O Church, accept the voice of the Lord! Vigilance, vigilance! O Church, my beloved Church, pay attention, pay attention, do not sleep, do not rest! Never has the world sinned in such a way. Have you not said to Me many times that you wanted to consume yourself and to disappear in my love? Courage, courage! I have done everything to the letter, everything that you have said to Me. - O Jesus, look at my soul! Only You know how to look at it. With such an anguished plea, which explodes from a heart bleeding with pain and burning with love, the diary of our holy martyr closes.